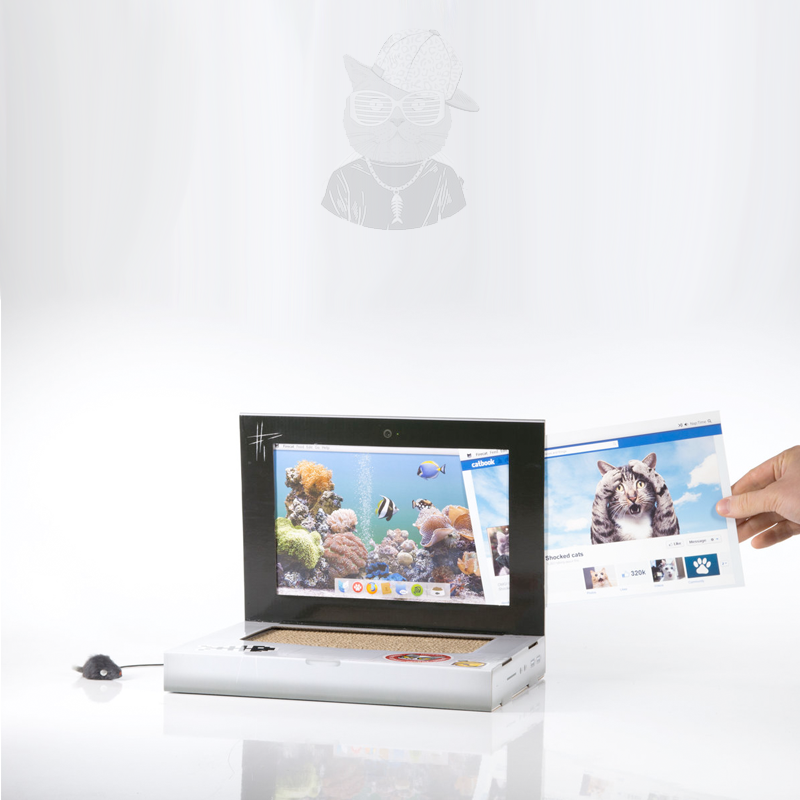 Cat Fam give you the Scratch Laptop! 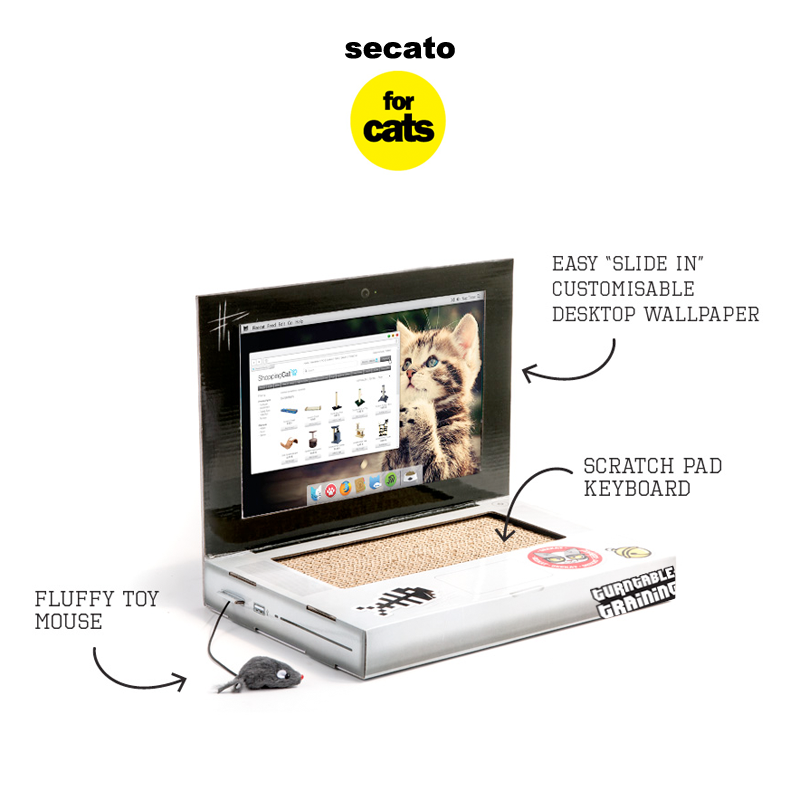 Straight up cardboard, Secato enabled laptop – with a proper mouse and exchangeable screen savers, just print off whatever funky looking desktop you want! 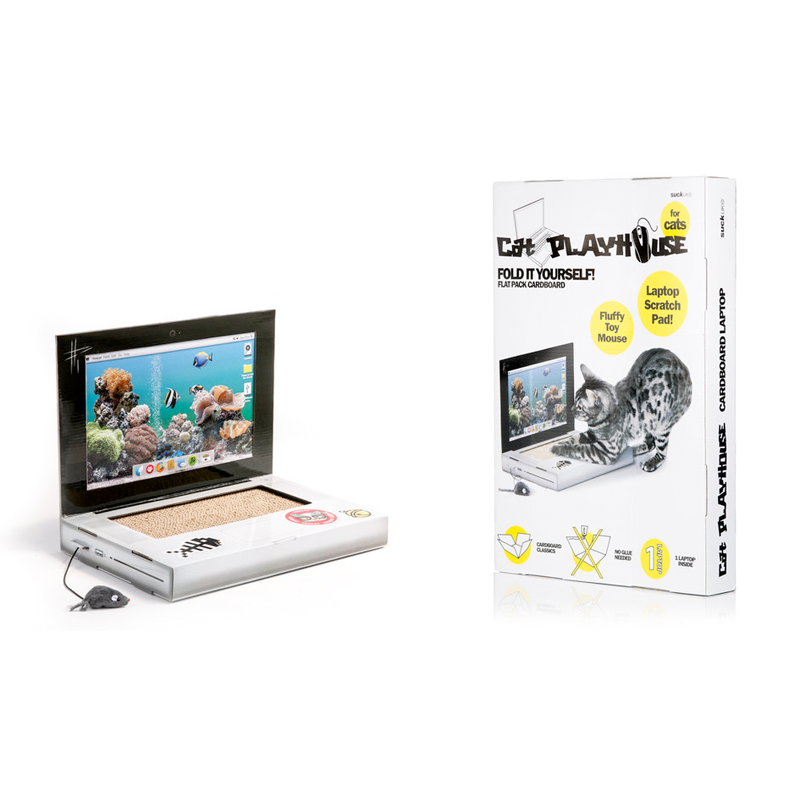 Folds together easily – supplied with instructions! "DVS is sick. 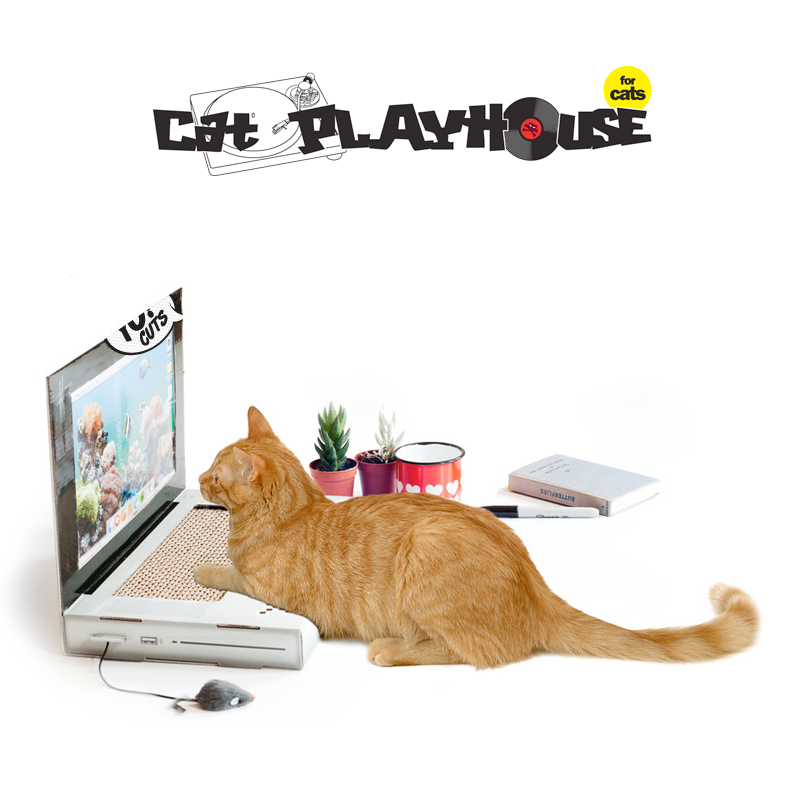 Great for controlling paw juggles with 2 of my turntables. Murdaz bruv...."